So far Mike Johns has created 9 blog entries. 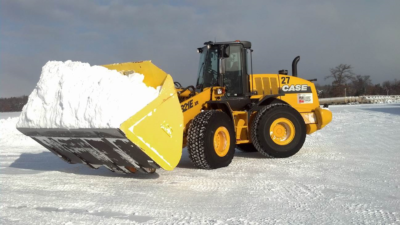 Heavy Machinery, Airport Runway Snow Removal Cherry Capital Airport / Traverse City Regional Airport Commercial Aviation Protect heavy machinery safety glass from being damaged by snow and ice abatement measures – sand and other media. 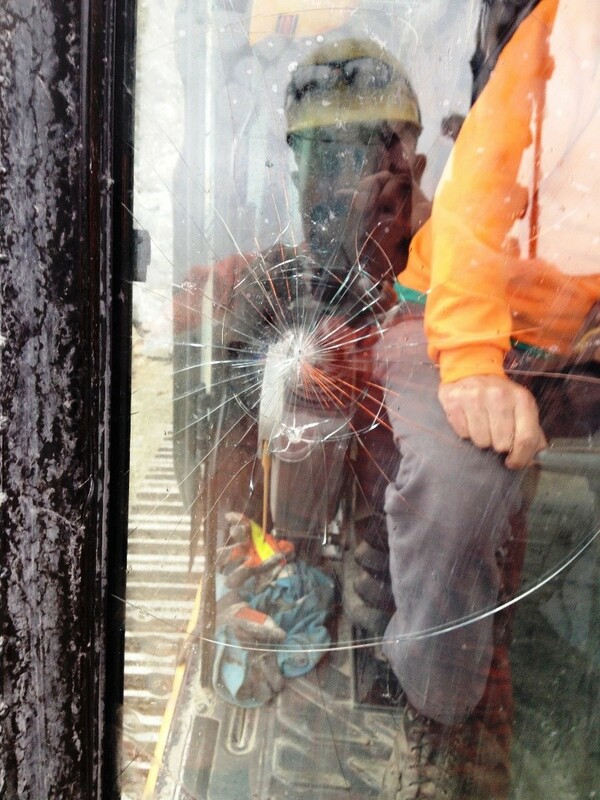 During runway snow removal or deicing operations, safety glass is being pitted and scratched, requiring replacement of expensive glass. Inspection Camera Protection Dr. Pepper/Snapple Group Consumer Beverage, Bottling Production line Inspection camera positioned within a glass cabinet seeking protection from syrup spatter. Syrup splatter on inspection camera cabinet forces shutdown for clean-up. 41615SG 4 layer, 16” x 15” TearOff “Stack” designed with full adhesive. Full adhesive allows for wet application. A TearOff heavy machinery customers was chipping out granite with an excavator when a rock chip the size of a softball blasted away, crashing into his windshield. 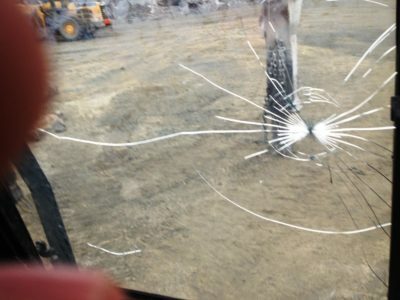 He'd recently installed a 4 layer stack of TearOffs the day before, which contained all the shards of glass in place, and saving the operator from serious injuries. U.S. Army Corps of Engineers were faced with a challenge: An 800 foot tall Oklahoma dam construction project needed epoxy grout, for bonding the sliding gate channels in place. Working from scaffolds positioned around the dam, engineers were attempting to mix two epoxy parts on 16" x 22" plastic palettes, then apply it to the dam/channel surface.